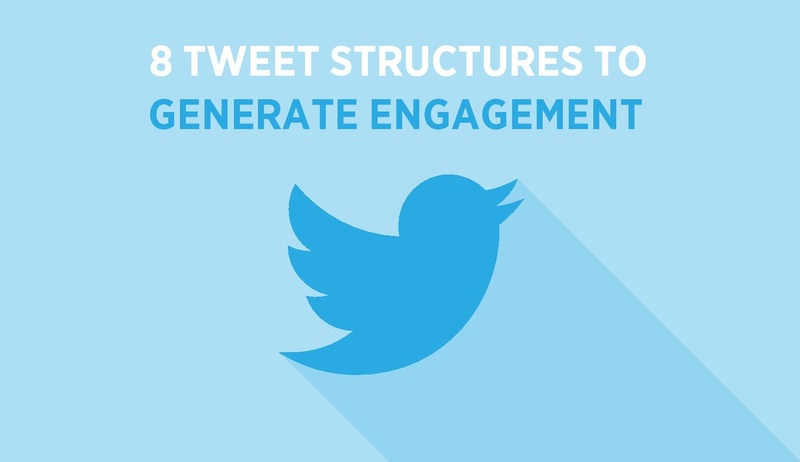 Creating an engaging tweet involves preparation, thought and a strategic reason behind it. 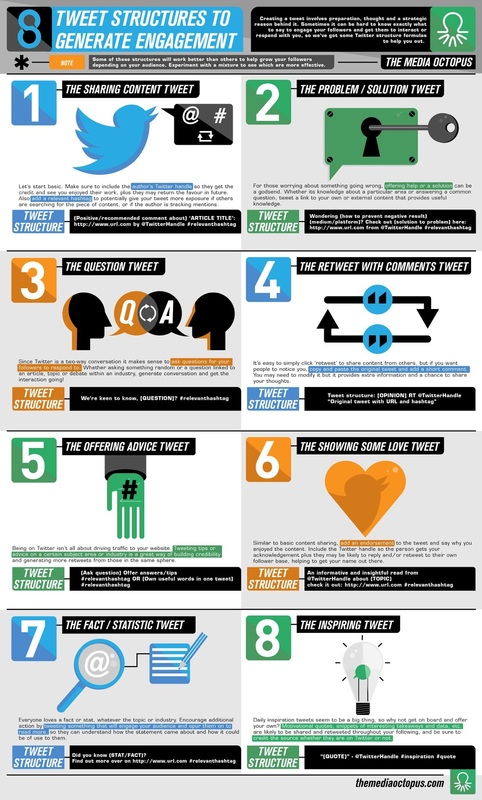 Sometimes it can be hard to know exactly what to say to engage your followers and get them to interact or respond with you, so to help you out, our friends at TheMediaOctopus created an infographic showing the most popular Twitter formulas and a breakdown of the basic structure when it comes to crafting the perfect Tweet. A key Highlight is: When sharing other's work, make sure to include the author's Twitter handle so they get the credit and see you enjoyed their work, plus they may return the favor in future. Also add a relevant hashtag to potentially give your tweet more exposure, if others are searching for the piece of content, or if the author is tracking mentions.